"Driving Execution for Breakthrough Results." Balancing theory and practice with real-life case studies, Innovation Engine explores the process of innovation execution for organizations of any type and any shape. Today, although innovation is in high demand, it is too often misunderstood and lacking in committed sponsorship. While methodologies like the balanced scorecard are applied with great success to monitor and manage the key performance drivers in organizations, for continued success today's teams need an innovation scorecard that effectively works in tandem with their performance/operations management. 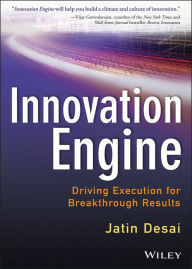 "Jatin makes a strong argument to embed Innovation Engine into your corporate strategy to balance the short term financial drivers of the business if the corporation is to achieve long term success in a highly competitive environment. It is well worth the read." Derived largely from author Jatin Desai's global experience using and teaching the DeSai body of knowledge over the past twenty-five years, Innovation Engine shows you how to prepare and grow your organization in a hyper-dynamic and globally connected environment, through foresight and strategic innovation. "Jatin is an impactful catalyst for innovation in organizations. 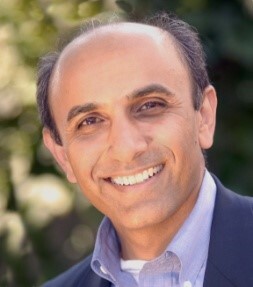 This book captures the secret ingredients that have made him a successful innovation consultant."